Background – Gold Mario is one of the most unique Amiibos thus far, not only for the design and style, but also in how Nintendo released it. First, there were wild rumors that Nintendo was releasing a Gold Mario which seemed odd considering that Mario was already getting two different Amiibos. Then came the news that it would be a Wal-Mart exclusive which was another first for Amiibos. While it would eventually be followed by a long rumored Silver Mario, the metallic paint and special box art make Gold Mario really stand out from other Amiibos. Rarity – Pre-orders for this Amiibo sold out quickly and caused many people to complain about its scarcity. Gold Mario was coming out at perhaps the height of Amiibo supply problems. Some of the rarest Amiibo seemed nearly impossible to get in stores and it was always rumored or assumed that Gold Mario would be limited in number. Understanding and describing Gold Mario’s rarity is not easy however. 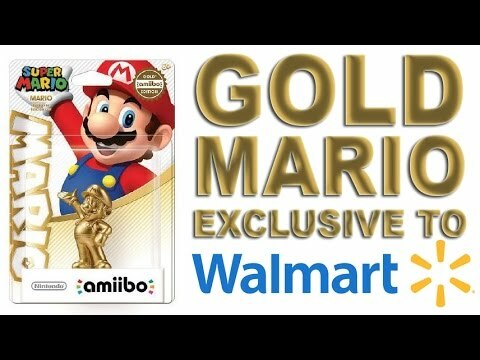 Gold Mario is both limited, because it has never had a re-release and yet, it does not seem to go for the high prices that other rare Amiibo regularly sell for. This may be because Amiibo collectors were able to get it relatively easy at Wal-Mart and so the demand for this Amiibo has never been as high as others. At the time of writing, new-in-box Gold Marios go for around $40-50 which is not cheap, but not nearly as expensive as many collectors expected either. Worst Details – Gold Mario is a repainted version of the Mario Party version of Mario and so it has the same exact pose. I like both Mario’s cheerful expression and invitation to play Nintendo’s board game series, but at the same time, Gold Mario is actually an awesome Power-Up in New Super Mario Bros. 2 and probably could have had a more interesting pose than this if Nintendo wanted. The gold paint, while nice, is nowhere near as bright or the deep gold color as the initial pictures suggested (or at least not compared to the Gold Marios I’ve seen in person). I think he looks brighter and more vibrant in the games than he does in Amiibo form so that is a mild disappointment. 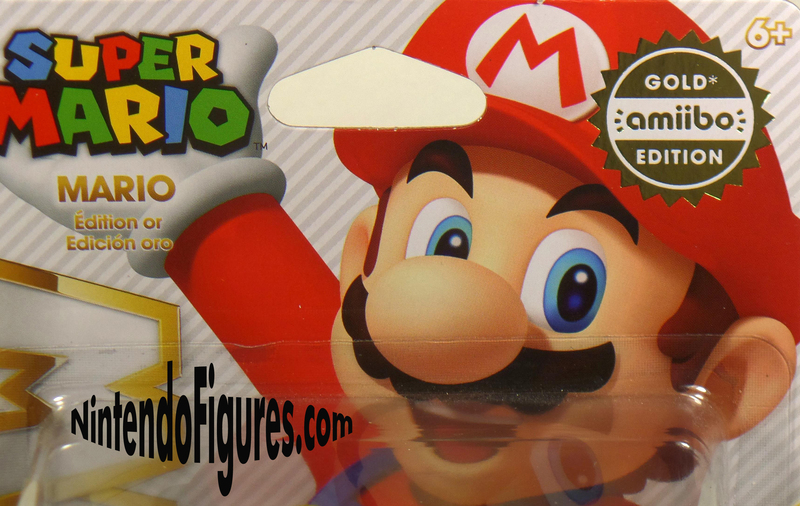 Best Details – Besides the previously mentioned expression, Gold Mario has the best packaging of any Amiibo. It has a “Gold Edition” seal which is really nice and I like how even Mario’s name is in gold. When you pair that with the Super Mario style, this Amiibo has some of the best and most beautiful packaging of any Amiibo. It is hard not to appreciate the little details like gold M on Mario’s hat and the style of his eyes as well. 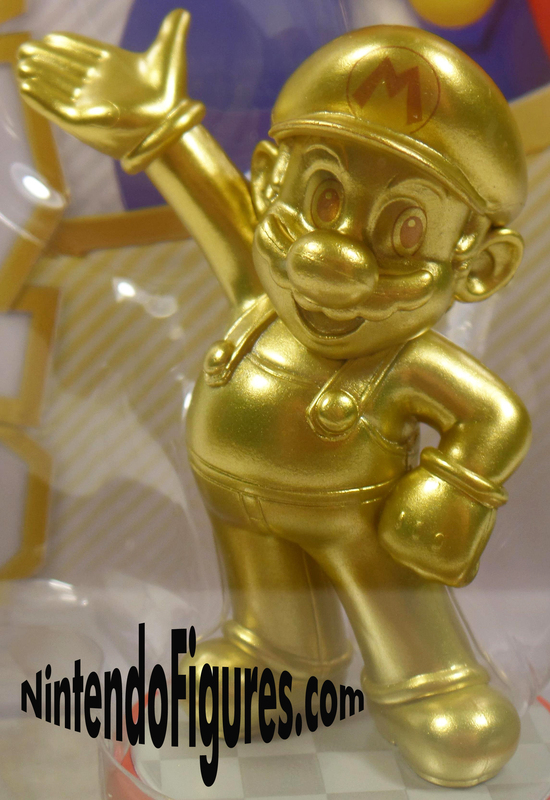 Flaws/Problems to Look for – Fortunately, Gold Mario’s simple pose and paint job mean that there are almost no defects to watch out for with this Amiibo. This is good news considering he is one of the rarer Amiibos. Reasons to Open Gold Mario – Gold Mario has one special feature as an Amiibo and that is he unlocks Gold Mario in Mario Party 10 automatically instead of having to earn Gold Tokens with all of the characters. This is a nice feature, but other than this, he is basically the same as any other common Mario Amiibo. Another reason you might want to open Gold Mario is that he can also be better appreciated if taken out of his package and put near some light to show off his metallic paint. Reasons to Keep Gold Mario Unopened – The most obvious answer is to preserve Gold Mario’s value, especially since he doesn’t have much extra or special functionality in any games besides Mario Party 10. If you like or value the packaging of Amiibos, Gold Mario is certainly an excellent example to keep unopened. Since there is a Silver and “regular” Mario with the same pose, this is another reason why keeping Gold Mario unopened is worth considering. You can always open either one of those which are both less rare than the Gold version. Final Thoughts – Having camped out for him at the Nintendo World Store in NYC for many hours, Gold Mario is either the Amiibo I’m proudest or most ashamed to own. In some ways, it is disappointing that his value is relatively modest, but at the same time, he is a great looking Amiibo and I’m glad that people who want him can get him for a relatively reasonable price. Nintendo took a chance and produced this Amiibo and not only is it a hit with collectors, but it should give us hope that we may get more obscure characters in Amiibo form in the future.